We provide high quality, network cabling solutions to organisations across a wide range of business sectors including healthcare, education (both private and state), housing, business, theatre and the arts. We work for organisations large and small from global corporations to one man bands. 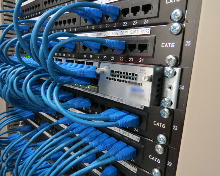 Whatever your network cabling requirement call us today and see how we can help. 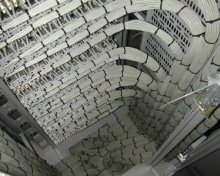 UTL’s Structured Cabling solutions take a planned, professional and flexible approach to cable installation. We take a strategic view of each building and advise accordingly, ensuring maximum flexibility and future proofing for your office. Trusted by such discerning organisations as the Air Traffic Control Centre in Prestwick, UTL’s Cabinet Rationalisation services untangle the most convoluted panels, often yielding extra free ports, more space and lowered maintenance costs.